common people in their struggle with the privileged elite. Someone Who Speaks For The People! It's time the people of Oklahoma have a voice in their government. Voices in a Jailhouse is a documentary feature film that takes an in-depth look at the Prison Industrial Complex. Your time and energy is needed to help the movement succeed! Sign up today and lets begin to make a difference! Campaign contributions are used to fund yard signs, pamphlets and other print material. Please contribute if you can! "I believe that, as long as there is plenty , poverty is evil. Government belongs wherever evil needs an adversary and there are people in distress." 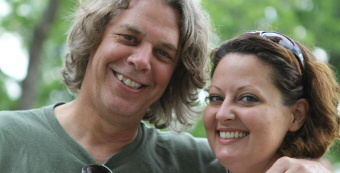 Mark Faulk's Oklahoma roots run deep. His family came to Oklahoma in the Land Run, and every generation since then has been raised in the heartland. 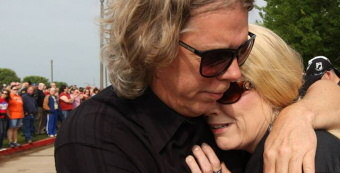 His grandchildren, grandnieces, and grandnephews, are seventh generation Oklahomans. They are, like other young Oklahomans, the future of our state. Mark attended public schools in Edmond, Weatherford, and Oklahoma City. The diversity of Oklahoma is reflected in his family's heritage and bloodline. His extended family is a rainbow, and includes Caucasian, Hispanic, Native American, Black, straight and gay, conservative and liberal, blue collar and professional. They are an inclusive family, sharing unconditional love and a sense of caring and compassion. Mark's politics were shaped in the era of the Civil Right's Movement of the sixties and the tumultuous upheaval of the Vietnam War. His father Bill Faulk was a playwright and educator who helped organize the sanitation worker's strike with fellow teacher and activist Clara Luper, and was instrumental in helping to break the color barrier in Edmond, Oklahoma. His mother is a retired social worker and was (and still is) Mark's role model and biggest supporter. His stepfather is the grandson of Comanche Chief Quannah Parker. It is through their love and guidance that he learned the lessons of helping those in need and working to change the system through positive actions and a simple rule of treating others with dignity. 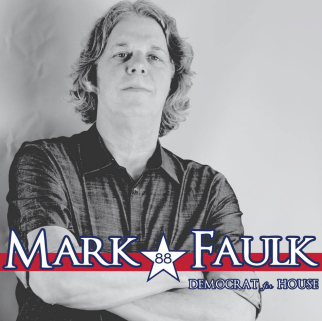 To Faulk, House District 88 is more than just a political designation, it is his home. 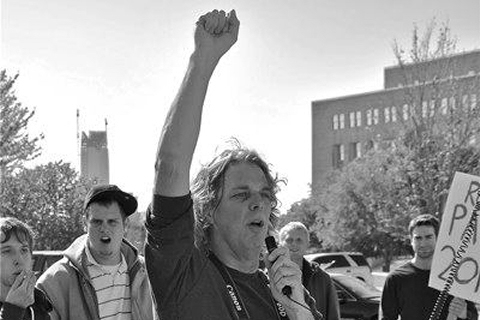 He opened his first bank account at the Gold Dome in 1973, graduated from Classen High School in 1974, and has been deeply involved in social political activism, the music scene, and the arts in Oklahoma his entire life. 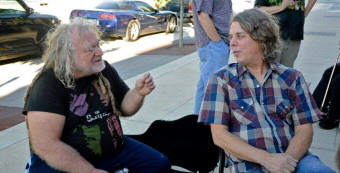 In 1977, Mark, along with his father Bill Faulk and other local business owners, was a co-founder of the Paseo Festival. "One of the things I have always loved about Oklahoma is our ability to accept each other's differences, and in fact, to embrace that diversity. We don't have 10,000 foot mountains, massive oceans, or hundreds of miles of white, sandy beaches. But over the decades, we have worked hard to overcome racial, personal, and political differences and to understand and accept each other for who we are. From the Dust Bowl to the unspeakable tragedies of the Murrah Building bombing through devastating tornadoes, we have come to each other's aid, we have shown the entire country the true meaning of compassion. The people of Oklahoma truly are our greatest asset. "But over the last few years, all that has changed, at least in the eyes of the country. Our image as a caring people has been badly tarnished, replaced by an ugly political culture based on greed, bigotry, and oppressive laws enacted by narrow-minded politicians. "We have starved our public educational system and allowed our infrastructure to deteriorate, while giving massive tax breaks to a handful of already rich corporations. In many cases, we have enriched those same mega-corporations using taxpayer money, giving them an unfair advantage over smaller, locally owned, family businesses. "Our first woman governor has led an all-out assault on her fellow women, passing unconstitutional laws that threaten to undo decades of advancements, while at the same time incarcerating more women than any place on earth. We have fought pointless battles based on bigotry and hatred while at the same time ignoring the most fundamental needs of our citizens. "Over the course of this election, I will fill in the details of my background as a filmmaker, writer, activist, blue-collar worker, business owner, father, and above all, an Oklahoman. "Our hope is that this is not just a single campaign, but instead the beginning of a new political movement in Oklahoma, or rather the rebirth of Oklahoma's oldest political movement. We will be inviting other like-minded candidates and disenfranchised or frustrated Oklahomans to join us as we work to reclaim our state's heritage. "More importantly, we as a collective, growing movement will spread a populist message, one based on inherent human rights, compassion, and basic dignity. "Thankfully, I know I'm not alone in this. I have met hundreds of people who are tired of settling for Democrats who are "slightly left of Fallin", and who believe that compassion for our fellow human beings is not a weakness or a character flaw, but is instead necessary for our society to survive, much less flourish. My platform might appear to be very detailed, but the concept is fundamentally simple: As a true populist, everything I do will be for the good of the people. We as a state need to re-evaluate our priorities across the board, and re-allocate taxpayer dollars where they will best benefit and diversify our economy, as well as improve our disgracefully low standings in almost every important category when it comes to human rights, poverty, health, education, individual rights, and overall quality of life. I strongly support a living wage of $10.10 per hour in Oklahoma, with an equally fair wage to tipped employees, either through legislation or by state or local initiative petitions. Paying employees a living wage will lift the working poor out of poverty, save millions in taxpayer money, and will channel money into the economy and increase revenues and profit for businesses. Plus, it's simply the right thing to do. I support ending direct and indirect subsidies to Corporate Welfare Queens such as Wal-Mart and McDonalds, and unnecessary tax subsidies to our largest oil and gas companies. I also support a progressive state income tax, so that our wealthiest citizens pay their fair share. All of those savings and additional revenue can be redirected to supporting our local economy and small businesses, and to public education, mental and physical healthcare, and public safety. I support an end to the War on Drugs in Oklahoma, and to the morally reprehensible and financially unsustainable Prison Industrial Complex, and an end to private prisons in Oklahoma. The savings will easily fund a renaissance in the way we treat addiction, job training, and mental health in Oklahoma. It's time to end the prohibition against medical and recreational marijuana, and to legalize industrial hemp as a cash crop for our farmers. The revenue generated would give us a tax revenue base that would help us achieve a world-class educational system, revitalize our farms, rebuild our infrastructure, and effectively treat hard drug and prescription addiction and alcoholism. There has been an all out assault on the rights of people of color, women's rights, LGBTQ rights, immigrants' rights, and the poor. These attacks are unconstitutional, morally wrong, and a waste of time and taxpayers' money. They need to stop. Now. Additionally, Our federal government has greatly overstepped their constitutional authority in the surveillance and harassment of our lawful citizens, and many state and local enforcement agencies have utilized excessive and even deadly force against innocent citizens. I support legislation to assert state rights to put a halt to these unconstitutional practices. ON THE ISSUES: This could very well be the most comprehensive platform you as a voter have ever had access to regarding a candidate for public office. It will remain publicly available as a guidebook for my term(s) as a state legislator, so that you, the voter, can hold me accountable for my actions. And no, it wasn't written by lobbyists, ALEC, or the Prison Industrial Complex. This is what I believe will be best for the state city, and district that I love, based on in depth research and conversations with the people, not the privileged few. We should ask as much of EVERY candidate who wants to represent the people of Oklahoma City, Oklahoma, or the United States of America. LIVING WAGE - $10.10 for 88. 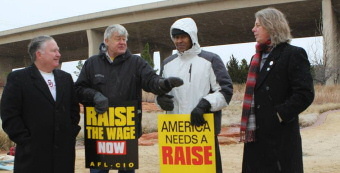 A recent national survey showed that 80% of Americans support raising the minimum wage to a living wage of $10.10. Paying workers a living wage will save millions in taxpayer money, and will channel money into the economy, increase revenues and profit for businesses. Instead of a hopeless cycle of uncertainty and poverty for the middle class and working poor, we would create a cycle of prosperity that would benefit all Oklahomans. Paying someone enough to survive while working a 40-hour workweek is the foundation of our labor force, and is morally and ethically the right thing to do. 62% of minimum wage workers are women, are disproportionately people of color, and contrary to propaganda, 76% are adults 21 years and older. I will work tirelessly to implement a living wage of $10.10 per hour in Oklahoma, with an equally fair wage to tipped employees, either through legislation or by state or local initiative petitions so that every worker can earn a living wage. UNIONS - Oklahoma has a rich history when it comes to labor unions. As early as the 1880's our Unions were inclusive to people of all races, and were a strong influence on our state's constitution. However, there has been a concerted assault on unions and workers' rights for decades, which has directly contributed to higher poverty rates and disparity of wealth. This in turn creates a hopeless cycle of poverty, drugs, lack of quality education, and despair from generation to generation. 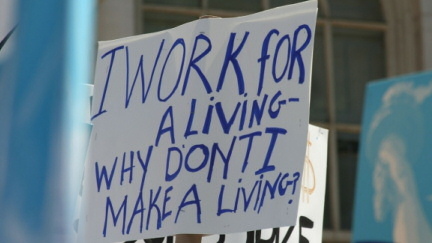 Right to work has taken away our right to earn a living. As unions and workers' rights have been decimated by bad government policy, the average income in over half of our counties has fallen below poverty level. State employees' salaries and benefits have been under attack as well. I strongly support worker's rights and a living wage for every working Oklahoman. CORPORATE WELFARE - Share the wealth. This is how it works: Wal-Mart grossly underpays their workers, then we, as taxpayers subsidize their corporate greed by paying an average of $5,815 per employee in food stamps and other subsidized social services. It costs Oklahoma taxpayers $420,000 per year on average to subsidize each Wal-Mart store in the state. Then, half of all food stamp money (SNAP) in Oklahoma, over $300 million a year, is spent at Wal-Mart, so they cheat taxpayers twice. Between subsidizing underpaid workers and raking in food stamp business, Wal-Mart cheats American taxpayers out of $31 billion a year while they turn a $16 billion a year profit. No wonder local businesses can't compete with them, our tax dollars are going to the Cayman Islands bank accounts of the richest family in the world, worth over $150 billion. I support ending direct and indirect subsidies to Corporate Welfare Queens such as Wal-Mart, McDonalds, and other large corporations so that taxpayer money can be redirected to growing our local economy, and to public education, healthcare, and public safety. DIRECT CORPORATE SUBSIDIES - Support small businesses owners. While many politicians call themselves fiscal conservatives, they have no problem with taxpayers footing the bill to the tune of $645 million in direct subsidies to the oil and gas industry in the last three years alone. For example, an obsolete tax break originally designed to stimulate what was then risky horizontal drilling has turned into a giveaway to our richest corporations that will soon reach $500 million a year. It's no wonder that my first announced opponent's family owns Shelton Harding, one of the biggest recipients of taxpayer money for horizontal drilling. Oil and gas companies are an important part of our economy, but they have enjoyed massive profits at the expense of the Oklahoma taxpayers, while education, infrastructure, healthcare, the elderly, mental health, public safety, and locally owned businesses have paid the price. I fully support the elimination of the horizontal drilling tax breaks that are draining our state's resources, as well as the elimination of all counterproductive tax subsidies for large corporations. INCOME TAX REFORM - Oklahoma has a regressive state income tax where even our poorest workers pay state income tax. I support a progressive state income tax that would add additional brackets so that any individual earning $100,000 or less would pay the same or less income tax, while those earning over $100,000 would pay slightly more. This would serve to stimulate the economy as lower and middle class workers would have more money to spend in our local economy. SMALL BUSINESSES - Oklahoma was built on the backs of small business owners, yet every year our state legislature gives massive tax breaks to our wealthiest corporations, giving them an unfair advantage over smaller, locally owned, family operated businesses. Add to that the huge advantage that we give to corporations like Wal-Mart, and it's no wonder small businesses have a hard time surviving. Yet, $67 out of every $100 spent in locally owned businesses stays in the community, while only $43 of money spent at out-of-state corporations like Wal-Mart stays local. The rest goes to the offshore Cayman Island accounts of the Walton family and other mega-billionaires. I support giving tax incentives to stimulate the economy though the growth of locally owned businesses, not out-of-state mega-corporations. INFRASTRUCTURE - Our bridges are collapsing, our roads are crumbling, our schools are falling apart, yet our wealthiest citizens are getting tax breaks, and our richest corporations are getting massive subsidies and tax breaks at our expense. And believe me, the roads in the rich neighborhoods are just fine, thank you very much. I will work to move money from unneeded tax breaks for our wealthiest citizens and corporations to the repair of our crumbling infrastructure, which will create jobs and enhance our livability. ENERGY - We have relied on the oil and gas industries since before statehood, and they will be a vital part of our economy for decades to come. But we also have the perfect climate for renewable wind energy, growing hemp for fuel, and passive solar energy. It's time to place a greater focus on passive and renewable energy sources to preserve our environment and diversify our economy. CANNABIS AND HEMP - The U.S. is moving rapidly in the direction of turning marijuana and industrial hemp into legally taxed industries, with or without Okahoma's participation. Colorado is estimating that it will be a billion dollar cash crop the very first year, and add over $100 million to the state coffers, not to mention the massive injection into state and local businesses. And in Oklahoma, industrial hemp, used for paper, clothing, building products, plastics, fuel, and 10,000 other uses, could be an even bigger boon to farmers, manufacturers, and our state coffers. Imagine all that money spent on education, infrastructure, mental health, and addiction treatment. PRISON REFORM - The prison population in the US has quadrupled since 1980, thanks largely to highly funded groups like the American Legislative Exchange Council (ALEC) and the State Policy Network, both created for the purpose of authoring and implementing corporate friendly legislation, in this case extreme sentencing laws in order to fill private prison beds. Governor Mary Fallin, House Speaker T.W. Shannon, Senator Clark Jolley, and others have sold their souls to the private prisons, and Mary Fallin is nothing more than a mouthpiece for ALEC. Massive donations made by private prison companies CCA, GEO Group, and Avalon Correctional Services to Oklahoma Republican politicians over the past ten years have derailed any and all efforts to reform our prison system. The Justice Reinvestment Initiative, originally intended to reduce prison overcrowding, was instead gutted and then largely unfunded by Fallin and her cronies, and in fact will increase prison populations. Prison reform, and the eventual elimination of all for profit prisons in Oklahoma, will be one of my primary crusades as a legislator. SENTENCING REFORM - This one is simple. The War on Drugs is a failure, and has done nothing but increase America's incarceration rate to the highest in the world. We have 5% of the world's population, but incarcerate 26% of the world's prisoners. In 2009 alone, the US arrested 1.66 million Americans on drug charges, and 4 out of 5 of those arrests were for simple possession. And Oklahoma is leading the charge, heading down a path that will eventually bankrupt our state. 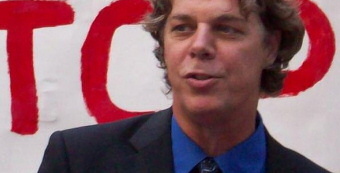 I support the elimination of mandatory minimum sentencing and laws requiring 85% of time served for nonviolent offenders, as well as the oppressive and unfair three strikes laws that result in life without parole for all nonviolent offenders (all laws written for the private prison industry by ALEC). Simply put, I support treatment, not time, for all nonviolent drug offenders. CANNABIS PROHIBITION - While Oklahoma strives to be a state based on moral values, we have some of the most oppressive marijuana laws in the country. A single grain of marijuana can get an offender one year in prison, and the second arrest can carry a prison sentence of up to ten years. Growing a single seedling for personal use can earn a life sentence, and a sale of a single joint can result in life in prison. This destroys lives, families, and communities, and is simply immoral by any standards. I support an end to the prohibition of medical, recreational, and industrial cannabis in Oklahoma City and Oklahoma, and will work to implement that, either through legislation or through initiative petitions to take the issues to a vote of the people. PUBLIC EDUCATION - Public education is the single most important way to change lives and pull families and communities out of long-term poverty, yet Oklahoma ranks 49th in per student expenditures. We cannot continue to gut our public schools and allow facilities to deteriorate, especially in older neighborhoods such as District 88. Seven generations of my family have attended public schools, I am a graduate of Classen High School in the heart of 88, and countless of my family members from generation to generation have attended Oklahoma City and State Public Schools. I will fight tirelessly to increase teacher salaries, upgrade facilities, invest in technology, and give teachers the support personnel and resources to accommodate the individual needs of their students instead of constantly "teaching to the tests". HIGHER EDUCATION - A recent commentary written by OU President David Boren says it all: "Our future is at risk." Boren notes, "In the 1970s, about 50 percent of OU's budget came from the state. It was more affordable for students and families... it will be about 15 percent if this current budget proposal is not changed." This is unacceptable. A higher education that is either unattainable for most Oklahomans, or creates a class of indentured servants with student loans well into the tens of thousands of dollars, is exactly what perpetuates the massive imbalance in wealth distribution that exists in our state and our country today. I will fight to increase public funding of higher education so that state universities and colleges will be affordable for all Oklahomans, and not just the wealthy. SCHOOL TO PRISON PIPELINE - Another morally reprehensible feature of public schools is the "Zero Tolerance" policy, also written and implemented by ALEC. Pitched as a way to improve discipline and help kids to "Just Say No" to drugs, it instead has been used to target kids deemed as troublemakers, and in fact some students are designated as future prison fodder as early as third grade. The School to Prison Pipeline has to be shut down, for good. 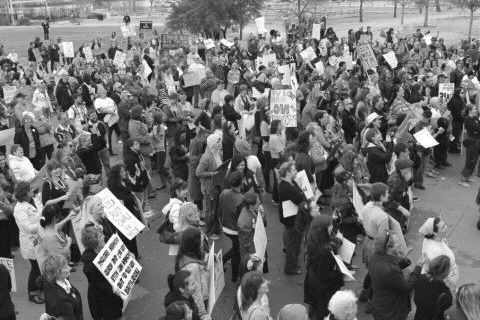 WOMEN'S RIGHTS - In Oklahoma, there is a war on women. 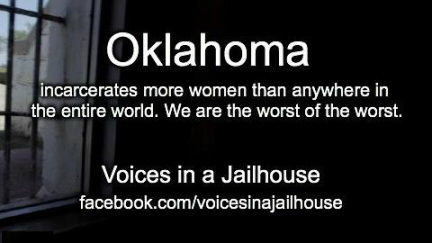 Oklahoma was among the first states to give women the right to vote; yet now Oklahoma incarcerates more women than any other place on Earth. Women earn only .75 for every dollar that men earn, and head half of all families in poverty. We are sixth in the number of rapes committed. One in six women is a victim of domestic abuse. Yet our state legislature, including some who call themselves Democrats, wage a continual and unconstitutional assault on women's rights, especially the right to choose. This all-out assault on women and women's rights is unconstitutional, immoral, and has to end. Now. CIVIL RIGHTS - Oklahoma City is a melting pot. District 88 is the most chill, inclusive, cohesive neighborhood oriented district in Oklahoma, where everyone, regardless of race, gender, sexuality, or socioeconomic standing, live comfortably together in an environment of acceptance and mutual respect for all people. But recently, in Oklahoma, the civil rights of people of color have been violated in the most deadly of ways. The Dane Scott, Jr. shooting by Del City Police, and the recent beating to death of Luis Rodriguez by Moore police officers are the tragic results of a culture of bigotry and racism that should not exist in this day and age. Even though drug use rates are similar, incarceration rates of people of color are over double that of whites, and they receive harsher sentences and are more likely to be abused. This will require more than just a greater emphasis on education, eliminating poverty, and an end to a racially biased justice system, it will require eradicating the very culture of racism that still exists in much of Oklahoma. NATIVE AMERICAN RIGHTS - We are a state rich in Native American history and heritage, but often, our laws do no respect or honor that legacy. My family has the same diversity as our state, my step-father is the grandson of Comanche Chief Quanah Parker, my grandchildren are 1/4 Muskogee Creek (as well as 1/4 Hispanic), so I am very aware of the importance of protecting the rights of our Native American brothers and sisters, especially on the vital issues of sovereignty, property rights, and water rights. As with civil rights issues, I intend to be a good listener, and a champion for the rights of Native American tribes throughout Oklahoma. LGBTQ RIGHTS - There is also a war on lesbian, gay, bisexual, transgender, and queer rights going on in Oklahoma. District 88 is unique in many ways, not the least of which is its diverse LGBTQ communities. The homophobic extremists in our state legislature need to be shamed at every turn and driven out of office, and replaced by reasonable, tolerant, caring, outspoken Oklahomans. I fully support, and will fight for, complete and equal rights for everyone, including the right to marry, and the complete protection against discrimination in the workplace, or any public place. IMMIGRATION - Oklahoma City and District 88 has a culturally diverse Asian and Hispanic, as well as many other cultures. As I've said before, we are a melting pot. It is this uniqueness that needs to be celebrated. As a legislator, I will work to keep our rich tradition of accepting everyone with open arms and respect for other cultures, and to give them a voice in important decisions concerning their cultures. Specifically, I will fight against any oppressive laws that unfairly target Hispanics and other immigrants in Oklahoma, including excessive voter ID and registration laws, and against the unnecessary, immoral, and costly practice of immigration detention. SENIOR CITIZENS - A national advocacy group, "Families for Better Care", recently ranked Oklahoma 48th in safe, quality, nursing home care and facilities. Representative Richard Morrissette said, "Do those seniors we love have a right to quality of life? We have a duty as a society to show them compassion." That sums it up. Understaffing, poor inspection practices, and instances of abuse and even questionable deaths are a disgrace to Oklahoma. Whether they are in their own homes trying to subsist on inadequate funding, or in a retirement or nursing home, every senior citizen deserves to be treated with respect and dignity, and I'll join Rep. Morrissette in his fight to achieve that goal. SURVIELLANCE - Our federal government, both under Presidents' Bush and Obama, have greatly overstepped their constitutional authority in the surveillance and harassment of our lawful citizens. As a law abiding American who is currently on the Terrorist Watch List for my efforts to expose fraud on Wall Street and for my participation in the Occupy Movement, and who has been the victim of TSA airport searches of up to seven hours in duration, I am intimately aware of this government harassment. Additionally, unauthorized collection of metadata such as internet, cell phone, cable and other information have turned honest citizens into suspected terrorists simply for their dissenting political views. I support state legislation to halt the unconstitutional collection of metadata and other covert surveillance by any city, state, or federal agencies or private entities without a written and signed search warrant from an authorized judge, and to curb other constitutional violations such as indefinite detention. EXCESSIVE HARASSMENT - Since 9/11, state and local law enforcement agencies, aided and abetted by Homeland Security and State Fusion Centers, have ramped up harassment against, and in some cases, committed blatant unprovoked acts of violence against their own citizens. This unwarranted aggression has to stop; citizens should not live in fear of those who are charged to protect them. I support increased training and screening of law enforcement officers in order to create a healthy environment for law enforcement and citizens, as well as independent panels to investigate alleged acts of excessive force. 2nd AMENDMENT RIGHTS - As an Oklahoman, I believe in the constitutional right of our citizens to bear arms. However, reasonable restrictions should apply. Hand grenade launchers and fully automatic weapons capable of mass killings are not what our forefathers intended when they penned the 2nd Amendment. National laws identical to Oklahoma's "Stand Your Ground" law, co-sponsored by Democratic Gubernatorial Candidate Joe Dorman, have proven to be nothing more than an excuse to aggressively target people of color. I support reasonable restrictions and registration of guns, and strongly oppose Stand Your Ground Laws. ENVIRONMENTAL ISSUES - While Oklahoma has no oceans or beaches; we have one of the more varied and beautiful terrains in America. Unfortunately, our natural resources are in danger. Oklahoma is currently the home of 13 Superfund Sites, among the most polluted areas in America. And then there's fracking, the elephant in the room that no state officials want to deal with. In 2008, Oklahoma had 38 earthquakes of 2.5 magnitude or greater, in 2012 that number had grown to 222, and this year we're on track for 780 earthquakes of 2.5 or greater. Oklahoma, we have a problem, and ignoring it won't make it go away. Oil and gas companies have made an excellent living in Oklahoma, and they should be good stewards of Oklahoma's environment as well. I pledge to fight to put an end to destructive practices by oil, gas, or any other companies that are harming our environment. AFFORDABLE HEALTHCARE - When it comes to healthcare, Oklahoma ranks near the bottom in nearly every category. Governor Fallin, take the $300 to $500 million in annual federal money allocated for the Affordable Care Act, expand Medicare, and allow our state's poorest citizens to have adequate healthcare. Leaving 144,000 of your own citizens living below the poverty line uninsured, in one of the unhealthiest states in the nation, is morally and ethically wrong. In Oklahoma, Obamacare has become Fallin-doesn't-care. As a legislator, I will fight to see that every citizen receives the health benefits currently being denied by our governor. MENTAL HEALTH - Oklahoma has the second highest rate of mental illness in the entire U.S. We are at or near the top in addiction and suicide, trauma based issues such as child abuse, neglect, and domestic violence, and the number of people that we have incarcerated. Yet we spend far more money to incarcerate people with addictions and mental illnesses than we do treating them. One in four Oklahomans struggle with mental health and addiction issues in their lifetime. This creates a generation-to-generation hopeless cycle of despair, addiction, and suicide. Major increases in funding for addiction, as well as child, teen, and adult community based mental health services will pay huge dividends through reduced incarceration rates and increased productivity from healthy, functioning members of society. THE ARTS: As an artist, writer, music producer, and filmmaker in District 88, who cofounded the first Paseo Festival, taught art and ceramics at a nonprofit institution, and helped revitalize the PTA Reflections Art Program for Oklahoma City Public Schools, I am intimately aware of the importance of the arts in Oklahoma. It is art, dance, music, film, theater, and poetry that make the 88 special. We need to nurture that creative spirit that feeds our hearts and souls and is the lifeblood of the 88. It is as important to our city's image as any other single aspect. I will fight against any funding cuts for the arts, and to increase spending on the things that improve our quality of life every time we walk down the Paseo, through the Plaza, and every art and music enclave that breathes life into Oklahoma City and Oklahoma. Voices in a Jailhouse is an 80-minute documentary that takes an in-depth look at the Prison Industrial Complex. 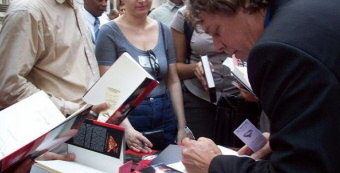 One hundred and fifty years after the abolition of slavery, private prison companies like Correctional Corporation of America (CCA), GEO Group, and Avalon Correctional Services continue to profit from an all-out assault on the poor and people of color, capitalizing on political connections to turn millions of inmates into modern day slaves. Utilizing investigative journalism techniques, compelling interviews, and a filmic approach, Voices in a Jailhouse chronicles the often heartbreaking stories of victims and follows dedicated activists in their quest to reform America's broken prison system. The film's stories serve as compelling examples of the failed War on Drugs, biased law enforcement, and excessive sentencing, and illustrate how private prisons create cruel, unsafe conditions while costing taxpayers billions of dollars. PLEASE HELP US BY DONATING IF YOU CAN, AND BY SPREADING THE WORD BY SHARING THE KICKSTARTER WITH ANYONE WHO IS INTERESTED IN THIS IMPORTANT ISSUE! !